After the huge success of the last two The Bill reunions, Misty Moon is proud to announce The Bill Reunion 3. Misty Moon’s MC Linda Regan, who has appeared in several episodes of The Bill, will be chairing the Q&A. There will be a meet and greet after the Q&A where the guests will also be taking part in a paid signing. 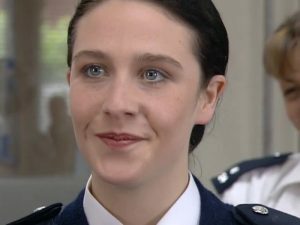 Suzanne Maddock played WPC Cass Rickman – Suzanne appeared in The Bill as PC Cass Rickman from 1999 to 2002. Her character was killed off in the highly rated Sun Hill Serial Killer storyline. Before The Bill, Suzanne had previously appeared as Janet Frazer in the BBC drama Hetty Wainthropp Investigates, starring opposite Dominic Monaghan and Patricia Routledge. She was in 10 episodes between 1997 and 1998. Suzanne has also guest starred in Casualty, Silent Witness, and appeared in the films Land and Freedom (1995) and Stella Does Tricks (1996). WPC Cass Rickman had already been in the force for six years before coming to Sun Hill. Transferring to the Met gave Cass her first chance to live away from home and she arrived at the station full of such tremendous energy and enthusiasm that some of the older stalwarts of the squad found it both exhausting and annoying. However, with her quick wit and lively nature, she rapidly made friends. Her greatest fault was her lack of tact – she tended to open her mouth before thinking, and put her foot straight in it. But her redeeming blunt honesty and openness made it hard for anyone to take offence for too long. Cass loved her job and took pride in doing it well. She arrived at Sun Hill determined to make her mark. Tragically, Cass met her untimely end as the final victim of the Sun Hill Serial Killer in late 2002, much to the devastation of all her colleagues and friends, especially her dearest friend, P.C. Nick Klein who sadly missed the opportunity to tell her how about his true feelings for her. 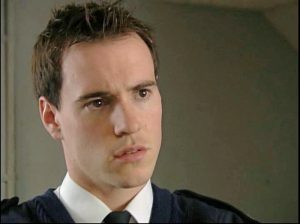 Ben Peyton played PC Ben Hayward in The Bill from 2000-2002. He has also starred in the films Bridget Jones’s Diary (2001) and Nine Lives (2002). His other television credits include Band of Brothers, Emmerdale (as Andrew Cusan), Holby City and Doctor Who in 2010. His stage work includes Art as Serge and Journey’s End as Stanhope, both at the Electric Theatre in Guildford. PC Ben Hayward was unusual at Sun Hill in having a liberal, middle class background. He breezed through Hendon. Undoubtedly bright, his downside was that he showed little interest in the more mundane aspects of police work – and this was sometimes perceived as laziness. Whilst he was certainly intelligent, Ben could sometimes display an amazing lack of common sense. Always ready to argue a point, he often had frequent run-ins on insubordination and discipline. He had a zero tolerance attitude towards drugs of any kind, following his sister’s death from taking ecstasy a couple of years ago. Tragically, Ben was one of the casualties of the Sun Hill fire when race riots got out of hand. 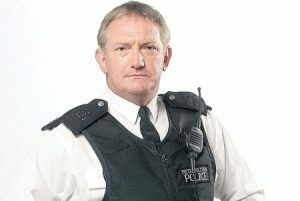 Graham Cole OBE played PC Tony Stamp in The Bill from 1984 to 2009 for 25 years. Graham has appeared in numerous episodes of Doctor Who playing a Marshman, a Cyberman and Melkur during the 1980s. He also made regular appearances on Noel’s House Party. Graham also narrated the police video “Police Stop”. Recently he has been treading the boards and touring the country in different productions. 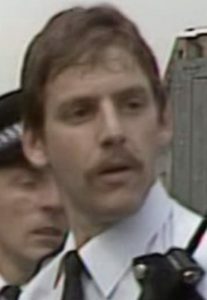 Greg Donaldson played DC Tom Proctor in The Bill from 1997 to 2000. Tom Proctor arrived at Sun Hill, fresh from his DC’s exams. It was his first posting as a fully-fledged DC, after he had served as a trainee-investigator at Harringay. In his mid to late twenties, Proctor was keen, sharp and ambitious – and far from naive. But he was a likeable lad and, above all, an enthusiastic officer. He wanted to get the right result, but also wanted to carve out a good career for himself – and he knew from experience the advantages of cultivating links with Uniform, who could supply much of the information he needed. Daly was delighted to have a keen new DC on board who was bang up to date with the law – and this put Skase’s nose right out of joint. Proctor made friends with the people he was trying to nick so that they opened to him, and showed a great deal more tact and insight in his dealings with the public than Skase ever did, which provoked a natural rivalry between the two men. Proctor was not usually abrasive and would bide his time before passing judgement, but he occasionally clashed with officers like Carver and Lines whom he considered “dinosaurs” – and wasn’t afraid to tell them so. He was quickly accepted in the department though and Deakin recognised the value of Proctor’s canniness and took him under his wing. However, it was not all plain-sailing for him. After bungling several cases Deakin and Meadows threatened to transfer Proctor back to uniform. His last ditched attempt to redeem himself failed due to Dave Quinnan’s interference and he was subsequently transferred to Isleworth CSU. He was the 2nd D.C. to leave in 2000 and left 3 months before the Don Beech Scandal. Greg had previously played two guest parts in the series. His other television credits include Ashes to Ashes (2009), Doctors (2007 and 2013), Dream Team (2003), Silent Witness (1997) and Silk (2011). His feature film credits include The Football Factory (2004) and V For Vendetta (2005). 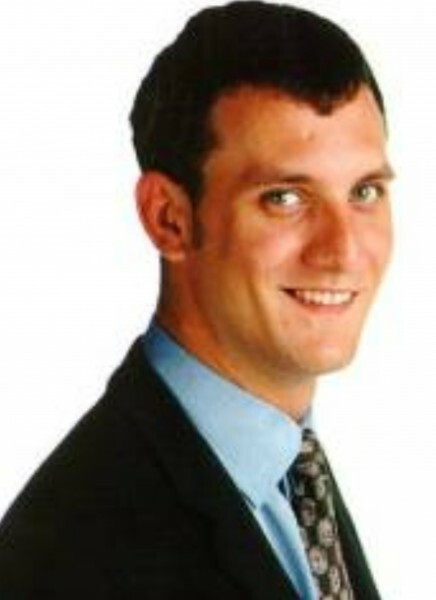 Greg is now a qualified psychotherapist and has his own private practice in Brighton and London. In 2018, Greg was interviewed in a two-part special edition of The Bill Podcast. Ashley Gunstock played PC Robin Frank between 1984 and 1989. After leaving The Bill, Ashley became a member of the Green Party and has been an environmental activist since 1989. PC Robin Frank was a steady reliable type known for his commitment and integrity. The character was a trained area car driver and his colleagues at Sun Hill knew that he always could be depended on. He suffered the trauma of being shot by a robber who had taken a woman hostage in a block of flats in 1985. He left Sun Hill in 1989. More guests to be announced over the coming months. Tickets in advance £14 (£13 concessions). On the door £15 (£14 concessions).